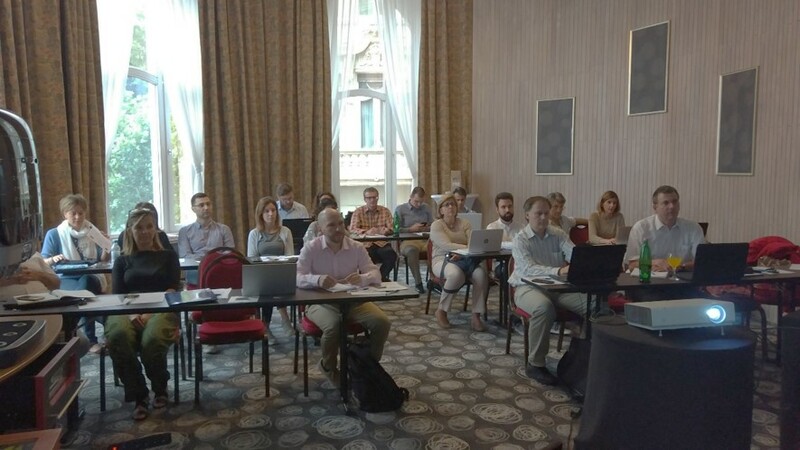 The Blog Avidin organized the fifth TAT-CF general assembly held in Budapest. Avidin organized the fifth TAT-CF general assembly held in Budapest. The famous Géllert Hotel was the venue selected for meeting. Thursday 14th was dedicated to a workshop session where all the partners presented the most recent progress in their respective work packages. Exciting results from TAT-CF selected hits raised the expectations toward a successful outcome of the project. A total of 10 presentations from the eight TAT-CF partners reviewed all the technical progress in the last period. Friday 15th was dedicated to the Steering Committee meeting. The conference was concluded with the presentation of the plans for the final symposium to be held in Burgos next December.